Sure enough, the Vikings returned and ruled England for a time. Then we had an English king who had grown up in Normandy. He had promised his throne to his boyhood friend so, when he died, that boyhood friend came over to claim it. Unfortunately someone else wanted it too, They met and had the most famous battle on English soil at Hastings. 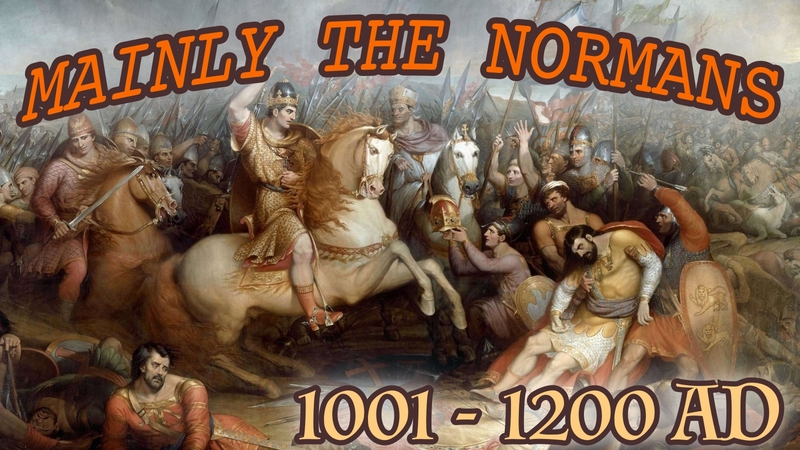 The Norman won and changed the whole way of life in England. The feudal system had arrived. At the start of this period of history, the estimated population of England (to the nearest ½ million) was 1½ million or 375,000 houses on our strange method, explained in the Mesolithic Age introduction.